Bar Institute, USBG & Dad's Hat Rye 0 Votes Up! Derby, Bourbon & Juleps with Walter Easterbroo... 0 Votes Up! Drambuie with Vance Henderson 2 Votes Up! The Complete Cocktail Manual with Lou Bustamante 0 Votes Up! Monkey Shoulder Scotch & Diamond Reef Opening 0 Votes Up! 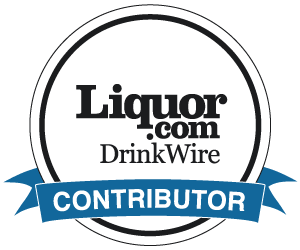 Jack Daniel’s Master Distiller - Jeff Arnett 0 Votes Up! Diversity Awareness (& Some Turmoil) in the Cockta... 38 Votes Up! Hacienda Patrón - Tequila from Farm to Glass 0 Votes Up! Hacienda Patrón - Tequila from Farm to Glass 1 Vote Up! Distilled Knowledge 2 Votes Up! San Antonio Cocktail Conference 2017 1 Vote Up! Tennessee Calling 6 Votes Up! Repeal Day and 'Shake. Stir. Sip.' with Kara Newma... 3 Votes Up! Aquavit - The Traditional Spirit of Scandinavia 1 Vote Up! Tiki! with Martin Cate of Smuggler's Cove 2 Votes Up! Rum & Miami Bar: RePour 0 Votes Up! WhistlePig with Master Distiller Dave Pickerell 0 Votes Up! What is Your Time Worth? 2 Votes Up! Planning Your Own Cocktail Event at Home 70 Votes Up! Cocktails in the Country with gaz plus Tales of th... 2 Votes Up! Tales of a Bartender at Tales: Maximizing Your Exp... 1 Vote Up! The World's Most Popular Liquor: Baijiu 5 Votes Up! Experimenting with Egg Whites 11 Votes Up! Zen & Tonic - Savory & Fresh Cocktails For... 0 Votes Up! Sustainability in Your Bar, and Waldorf Astoria Ba... 8 Votes Up! How to Win Cocktail Competitions 11 Votes Up! How to: Hospitality with Sother Teague of Amor y... 2 Votes Up! Bartender of the Year! 0 Votes Up! Paris Cocktails 0 Votes Up! Erick Castro from Polite Provisions 1 Vote Up!